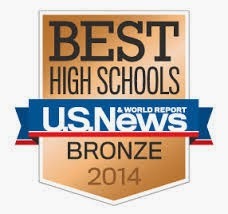 One of the Sabis delegations took home the best delegation award. SPRINGFIELD (Massachusetts) - Kathryn Mauke, of Sabis International Charter School, won the second place prize at the 74th Model Congress at American International College. Mauke received a four-year, half-tuition scholarship to AIC. Three other Sabis students, Darian Barlow, Catherine Lupien and Michael Savoie, received honorable mention awards. 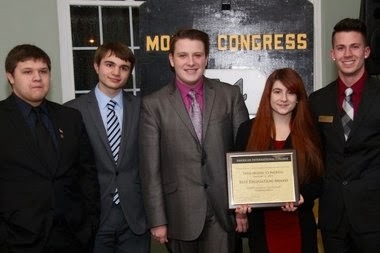 More than 200 high school students attended this year's Model Congress Jan. 9 through 11. The student legislators came from schools throughout Massachusetts, as well as Connecticut, New Hampshire and New York. Sabis International delegations to the 74th annual Model Congress at AIC. The three day event, the longest running event of its kind in the country, is designed to give high school students the opportunity to engage in the legislative process firsthand and stimulate an interest in the process of government. Model Congress participants write, amend, debate and vote on a variety of bills during the competition, many of which closely resemble bills currently before the U.S. Congress. Faculty and staff members judged the participants on their debating skills and knowledge of parliamentary procedure. Legislation filed by the Sabis delegations included the Legalizing Industrial Growth of Hemp in its Totality, or LIGHT, bill to legalize the production of industrial hemp (cannabis sativa) on U.S. soil.